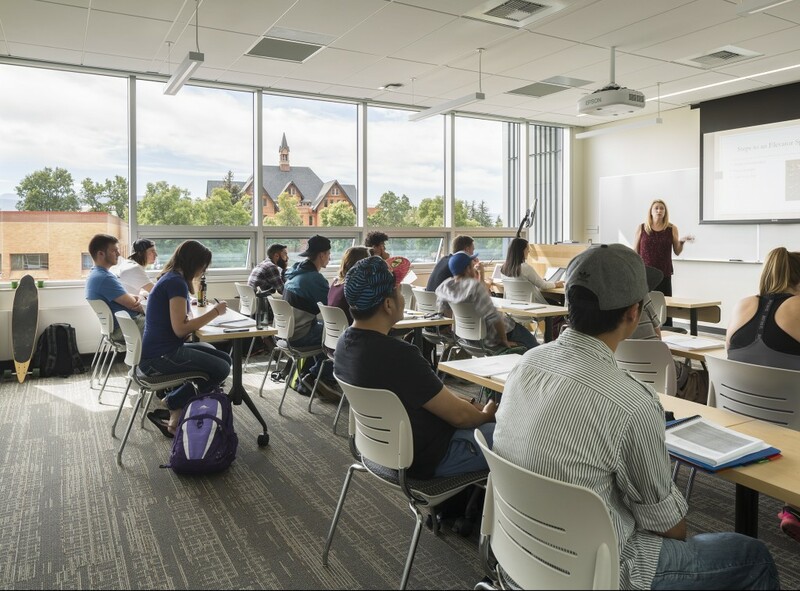 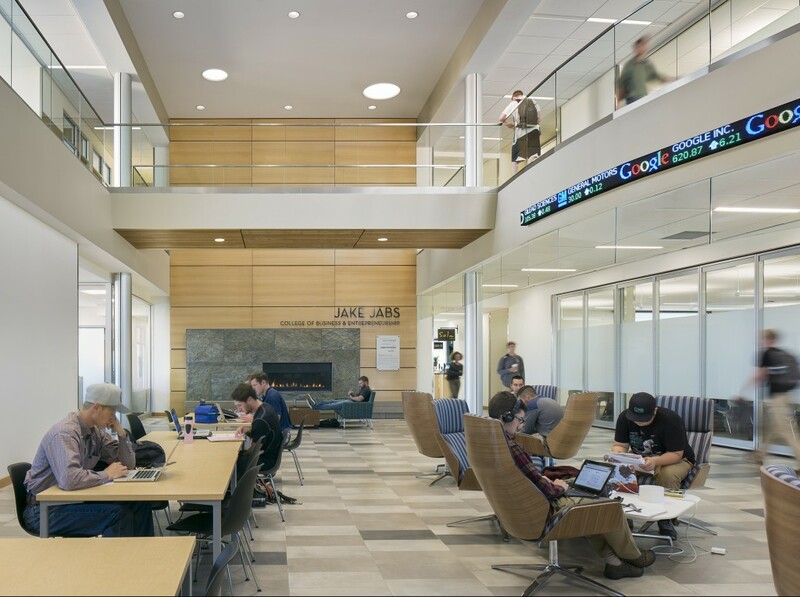 Hennebery Eddy designed the Jake Jabs College of Business & Entrepreneurship at Montana State University to be an interdisciplinary, collaborative facility, weaving built and natural environments and fusing interior and exterior spaces. 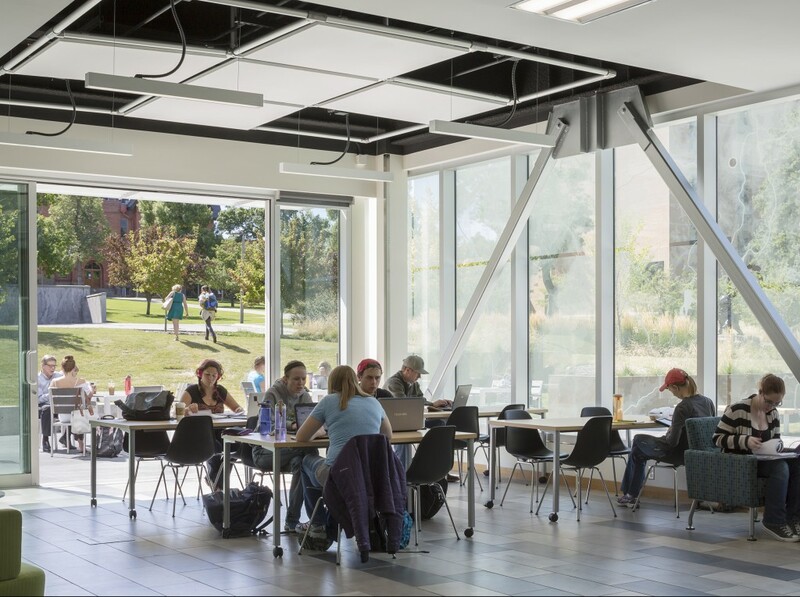 Jabs Hall incorporates views to the Bridger Mountains and connects to the campus with glass walls that open to a south-facing plaza, linking interior collaboration spaces to the outdoor gathering space. 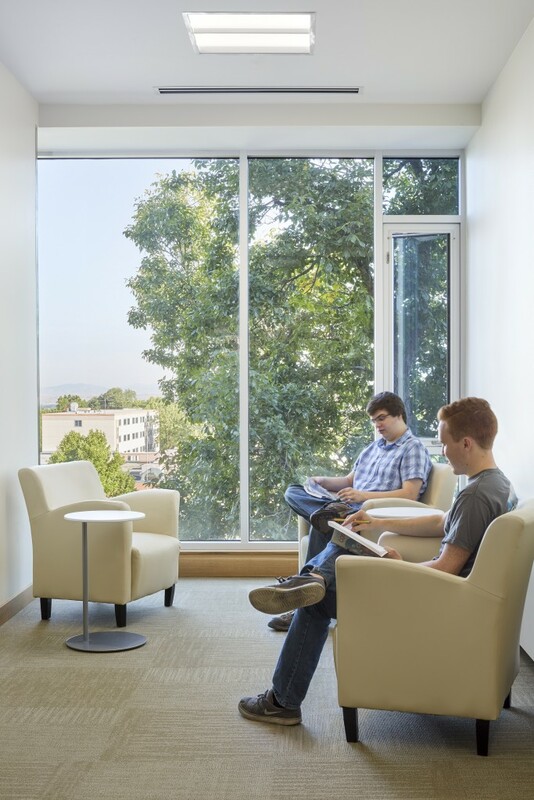 The building is technology rich, with flexible furniture and equipment for a variety of setups. 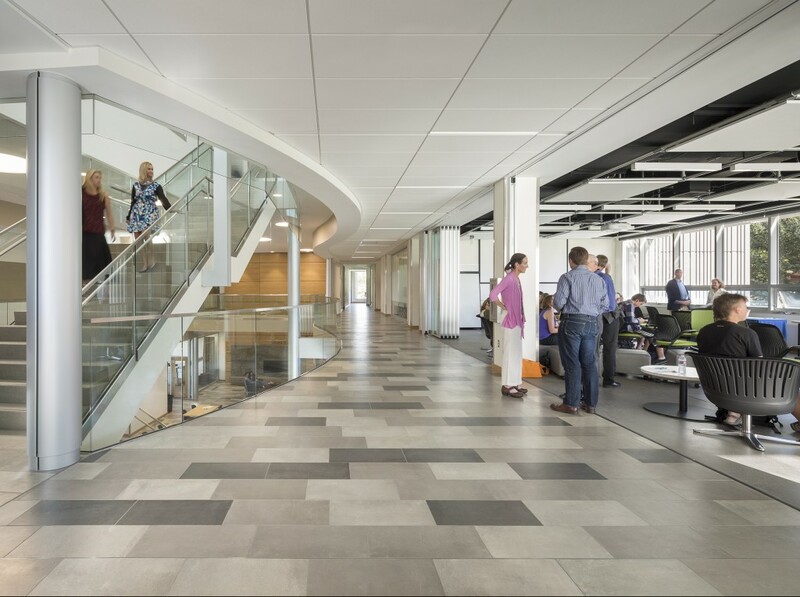 We organized the building around a central forum that houses both formal and informal meeting areas and social learning spaces. 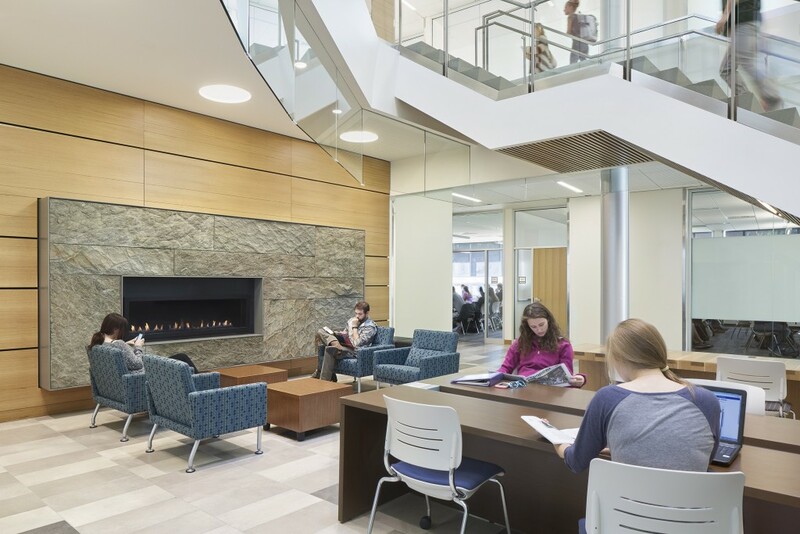 Connecting all four floors of the building, two-story forum spaces provide power access, fireplace hearths, and ample glass writing surfaces. 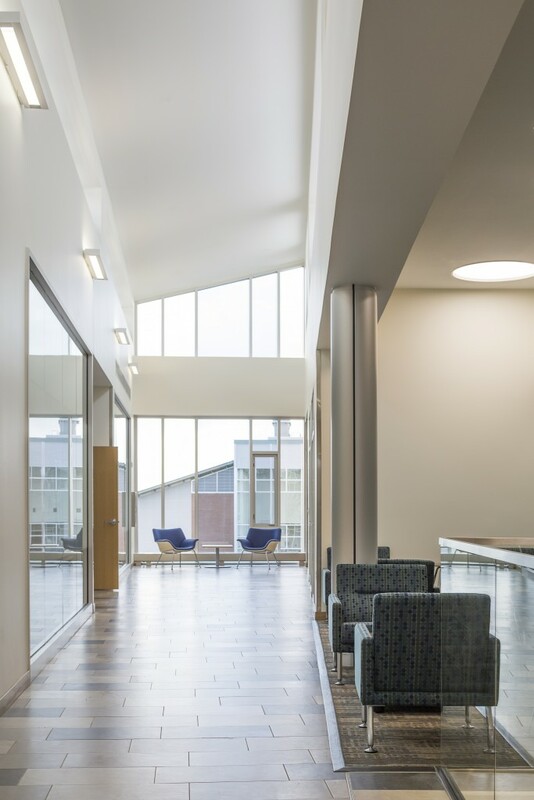 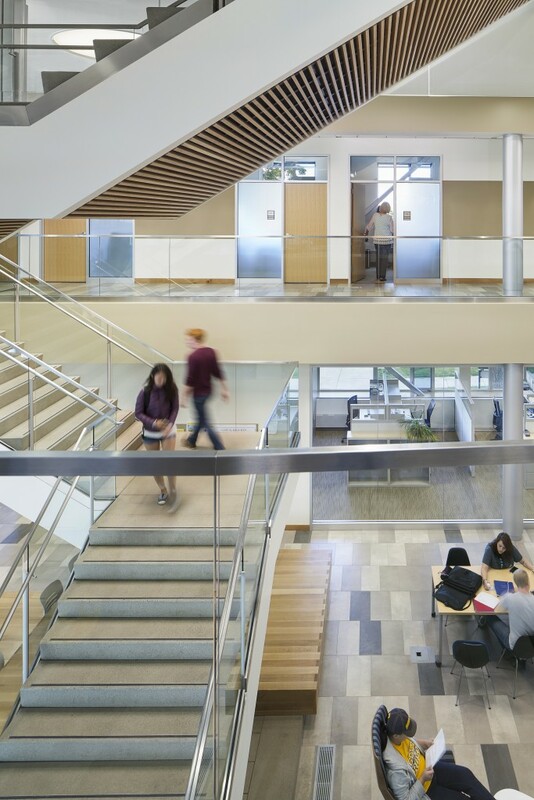 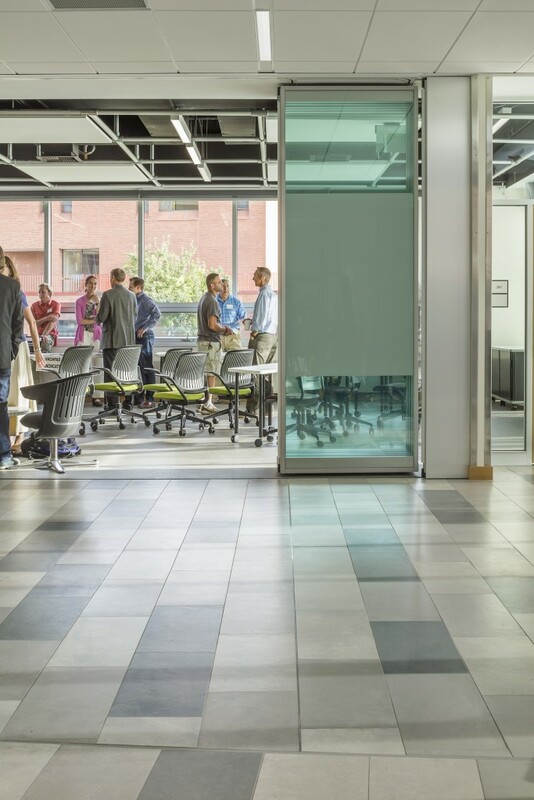 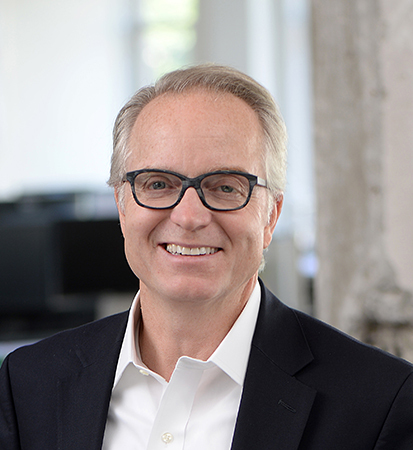 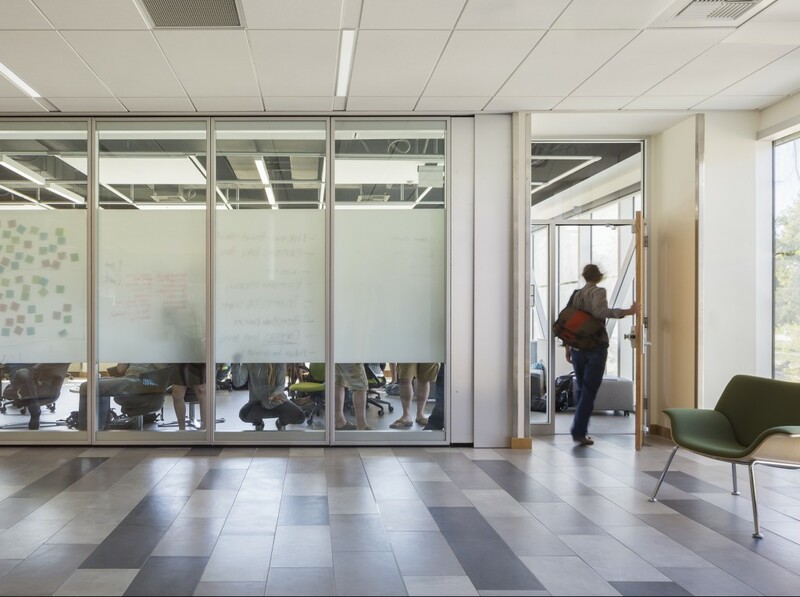 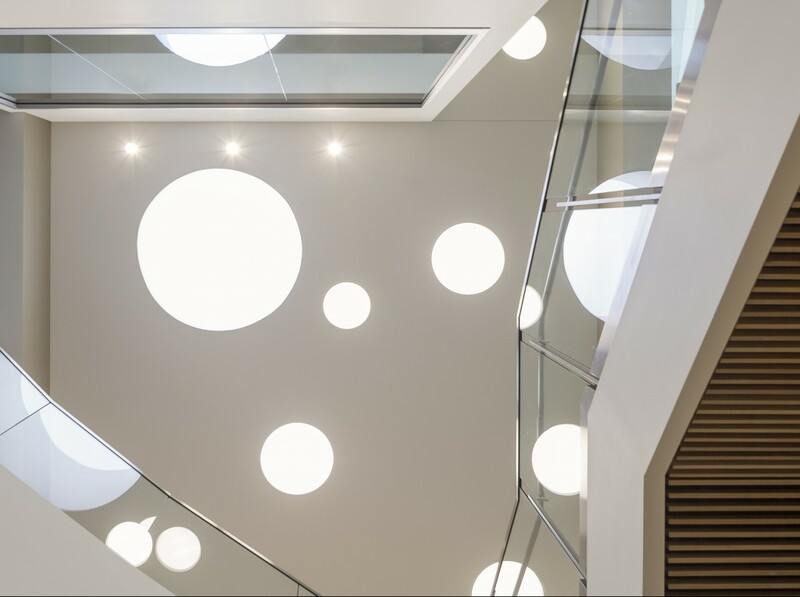 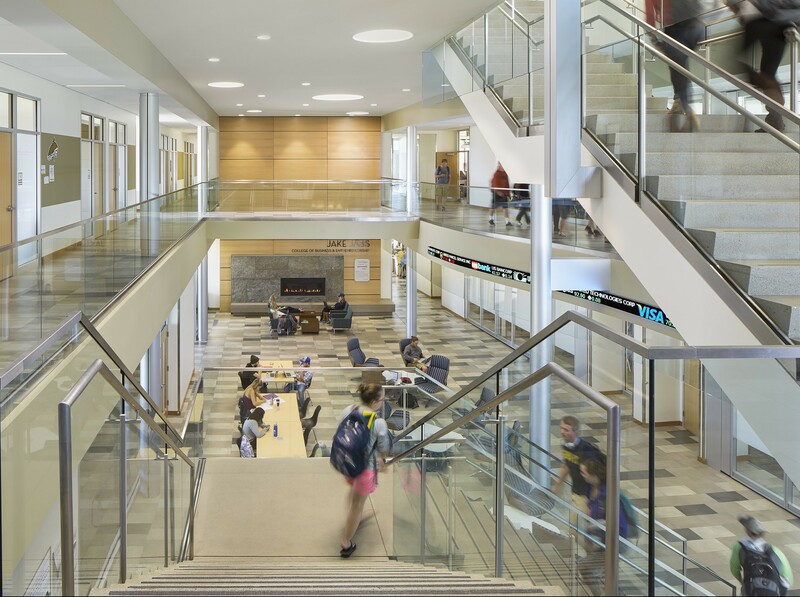 Passive interior design features contributed to LEED Gold certification, including organization of the building and openings to minimize heat gain and heat loss and thermal mass.